Meet your neighbor, Martha Reed, who lives just outside of Terre Haute. Martha has been married to Bob, a farmer, for 55 years. They have two children, Sue Ellen Lay, and Scott, who is married to Nicole. The Reed\rquote s have two grandchildren: Allison and Zachary. Martha grew up south of La Harpe and graduated from La Harpe High School. After high school she attended and graduated from Gem City Business College in Quincy. She has been working as a Certified Nurses Aide at La Harpe Davier Health Care Center for 26 years. She has also been the Terre Haute cemetery caretaker for 28 years. In her spare time she enjoys reading, cooking, and being outdoors. She especially loves helping out with the farming around harvest time. She enjoys spending time with her family, friends, and co-workers. 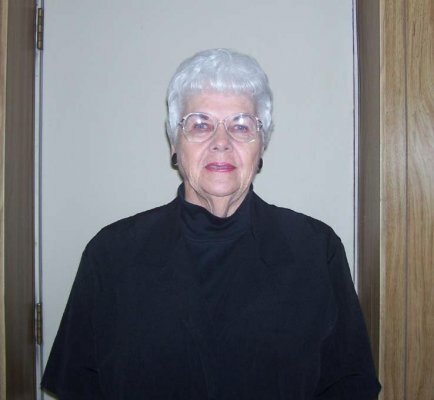 Martha is a member of the Chr istian Church in La Harpe.